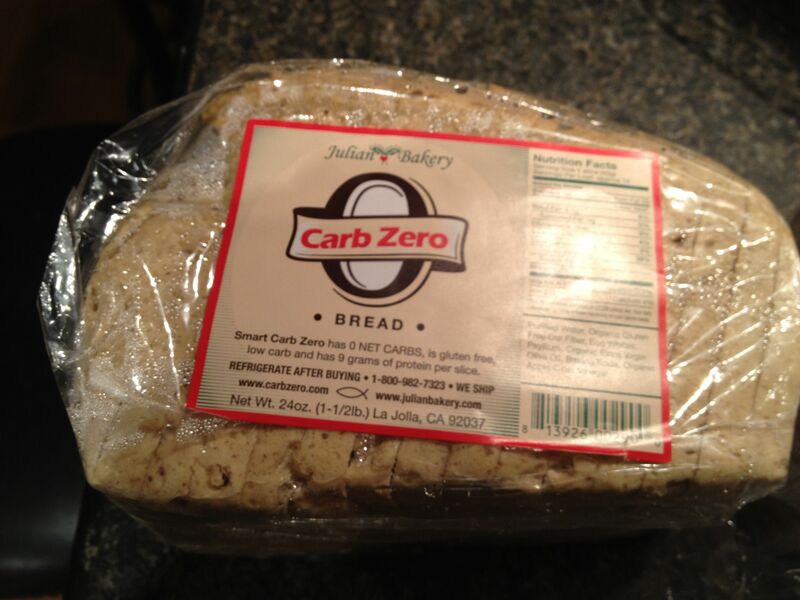 I’ve ordered and tried several low carb options, and now I’ve even found some zero-carb food items to try. I ordered these items from Julian Bakery. The bread – I’ve only tried the white bread so far. It’s dense, tasteless, and nothing to write home about. AND, it was $8 for a loaf! It’s similar to the texture of home-made flax bread. It doesn’t darken when toasted. It just gets really hard. I don’t miss eating bread all that much. Sometimes, however, I’d just like a sandwich, or a piece of toast with peanut butter. This definitely is not worth the money and is not a very satisfying substitute. I’ll update my blog with the cinnamon bread review soon. The chocolate bars – Both chocolate bars tasted really really good. They were each a very good imitation of a high-carb bar, for only 2 carbs each. HOWEVER, it is really hot outside right now, and the box came with two extremely melted bars. I think I would either look for these in a store, or only order in the winter. They did ship from California, so maybe the winter idea wouldn’t work. The raspberry bar was dripping from the bottom, but, bonus!, it gave the plain chocolate bar a little raspberry flavor since it soaked up a bit of the juice. 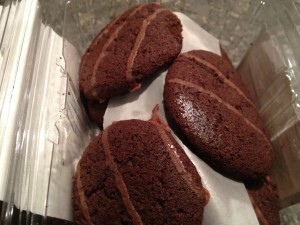 The cookies – These were okay. They remind me a bit of the Snackwells chocolate cookie that I tried a few years ago. 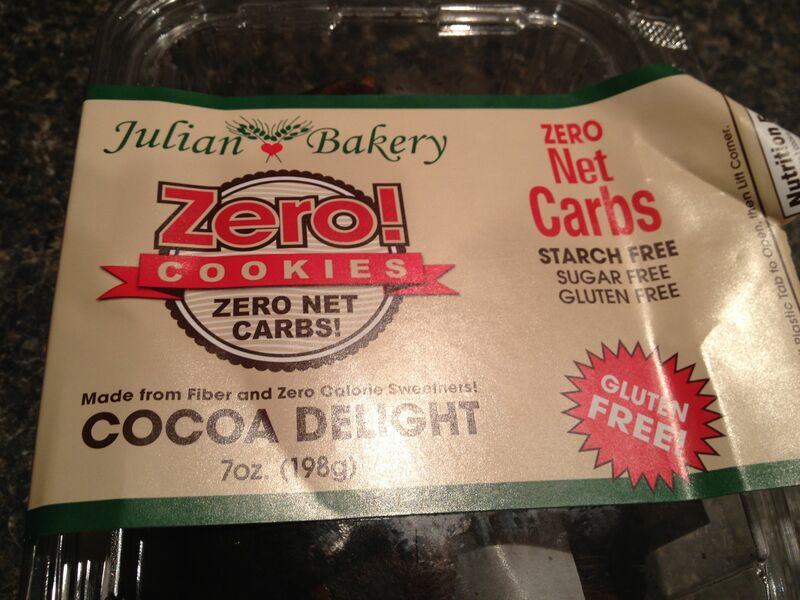 For zero carbs, they are a satisfying option. However, they are a little more than a dollar for each cookie, which should be factored in. I may try some home made cookie recipes from some keto recipe sites. The problem with this whole order, is that I paid a REQUIRED $14 for shipping – supposedly 2-day air. The order arrived about ten days later. With the high price of the items, plus the shipping cost, these went over my usual food budget. We had our typical Sunday morning breakfast. I ordered a 3-cheese omelet with a side of bacon and enjoyed my NYT puzzle. I wasn’t hungry at lunchtime, so I just had a no carb cookie snack. Dinner was a party at my niece, Marsha’s, house. I ate a brat, and some of her delicious buffalo chicken dip. It’s that dip that tastes like chicken wings, with spicy buffalo sauce. I just eat it on my plate with a fork. Who needs chips for dipping? I caved in to my craving for bean dip and had about a tablespoon on three tortillas. All in all, I did okay and made it through another party without giving into the carb monster. Friday started out with yogurt, then 2 servings of almonds for an early morning snack. I had fulfilled my 40 hours by 1:30 pm, and Rick and I were going downtown to record my dad’s death certificate. He loves the buffet at the Greektown Casino, and wanted me to try it. I also had a dessert: a piece of pecan pie and a tartlet. And then I CRASHED. I honestly didn’t think I could walk back to the parking garage without falling over asleep. The food wasn’t all that tasty and once again, I had regrets for going off the plan. I skipped dinner entirely. I was full, bloated and done eating for the day…or so I thought. Rick started reminiscing about the bacon wrapped hotdogs we used to get at the diner when we were teens (separately… we didn’t know each other that long ago). 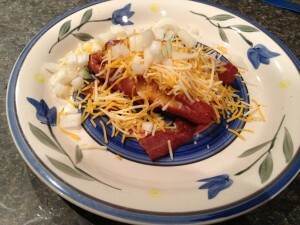 Around 10 pm, I decided to take some of my already-cooked bacon and wrap it around 2 hot dogs. I nuked them, topped with cheese and onions, and had a late night snack. I followed the dogs with a no-carb cookie from the food order that was waiting for me on the porch when we got back from the casino. The cookie was just okay, but it will be a nice option if I’m ever desperate for a cookie.